Cast changes announced for performances of Serenade, Sweet Violets and DGV. A number of cast changes have been announced for the Serenade / Sweet Violets / DGV Mixed programme. For the performances of Serenade on 17 (mat), 24 and 26 (mat) May, Valeri Hristov replaces Rupert Pennefather and Eric Underwood replaces Nicol Edmonds (originally Valeri Hristov). For performances of Sweet Violets on 14, 21 and 26 May, Meaghan Grace Hinkis replaces Leanne Cope in the role of Emily Dimmock, Thomas Whitehead replaces Thiago Soares in the role of Robert Wood, and Thiago Soares replaces Rupert Pennefather in the role of Walter Sickert. Sarah Lamb will perform the role of Marie. For the performances of Sweet Violets on 17 (mat), 24 and 26 (mat) May, Romany Pajdak replaces Meaghan Grace Hinkis in the role of Emily Dimmock. For the performance on 17 May (mat), Ryoichi Hirano replaces Thomas Whitehead in the role of Robert Wood. 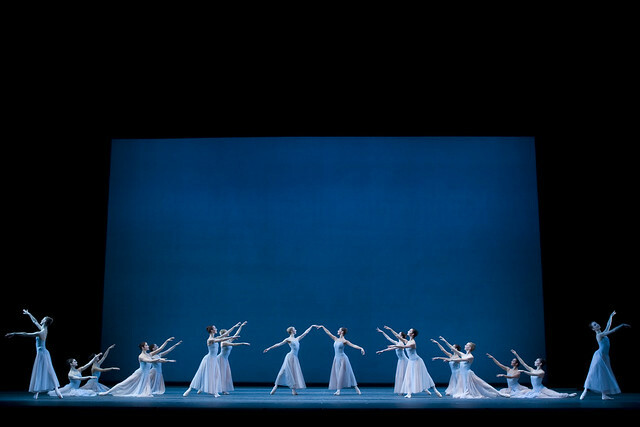 For the performance of DGV on 17 (mat) May, Beatriz Stix-Brunell replaces Itziar Mendizabal and Valentino Zucchetti replaces Nehemiah Kish. For performances on 14, 21 and 26 May, Valeri Hristov replaces Federico Bonelli. For the performance on 26 (mat) May, Matthew Golding replaces Rupert Pennefather. Just out of curiosity: a similar announcement was made for Tosca on the same day, and Tosca ticket holder were emailed to inform them of the cast changes. Assuming the RB and the Royal Opera use the same client database / systems, would it be possible for ballet ticket holders to also receive an email with cast changes, or are there specific reasons why this would not work for ballet cast changes? Thanks for your comment. With the nature of the artform, cast changes are unfortunately more common with ballet but this is something we're looking into. In the interim, we'd recommend checking these News pages and production pages for any changes. Could you please clarify whether Rupert Pennefather, Nehemiah Kish and Itziar Mendizabal will be dancing their remaining performances of DGV (i.e. those not specifically mentioned above). Your message seems to suggest this, but I'm wondering if it is actually the case. All other performances are due to be performed as previously announced (though they may be subject to subsequent change). Any changes would be communicated via these pages. Thanks, Chris. That's really good news. I shall keep everything firmly crossed that we see them all back fit and healthy (but will also keep an eye on this page in the meantime, just in case!). Pennefather is still listed for Sweet Violets on 21st May. Is that a mistake? It is a mistake Pat, many thanks for alerting us. We have now amended the entry. The best place to find cast change announcements is on the News and features section of the production page. The tag that pulls the announcement into that page seems to have been removed, though we'll re-add it so it's not missed by anyone else. Sorry to be slow but what exactly do you mean? That any urgent casting changes will be buried a couple of layers deep on your site - or that they will go straight to something known as "the production page" (which maybe means something different to you experts than it might to us website innocents)? Not trying to be difficult but I'm really not sure where best to look. Having been caught out in the past I'd like to know that there is one page I can always check before setting off to ROH where the latest casting changes will definitely be found as soon as they are announced. By production pages, we mean pages like this one: http://www.roh.org.uk/productions/serenade-by-george-balanchine (If you scroll down, there's a section called 'News and Features' which will include any cast change notifications. Taking your feedback on board, we'll ensure that in future cast changes are tagged to appear on the page you referenced, so for all still relevant cast changes (ie. for performances still to come), you can check that page.